Register for six sessions that focus on exploration and discovery of winter in the city through song, play, and hands-on experiences. Learn to look with guided gallery tours of the throughout the Museum. Work on special seasonal art projects inspired by the winter wonderland. Sessions run on Thursdays from 10:00 am–12:00 pm on December 6, 13, and 20, and January 3, 10, and 17. This special program is offered for up to 20 toddlers and their adults who can commit to all of the series dates. The winter series costs $180 for one child and one adult. An additional charge of $80 applies for a second child between one and four years old. Maximum of two children per adult. Payment is due in full at the time of registration. Missed classes are nonrefundable. 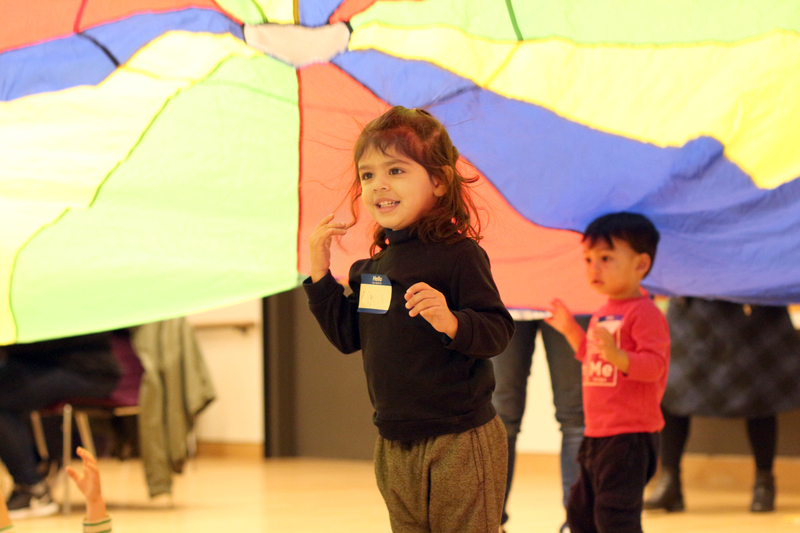 Toddler programs are geared toward families with children ages two–four years old and include a snack. Activities are designed for adults and children to complete together.